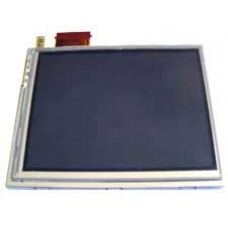 Complete replacement for the 5100, 5400 and 5500 iPAQ TFT display including the touch-screen and digitizer. If you have a 5100, 5400 or 5500 iPAQ with a broken screen this is needed to repair the problem. * Complete transflective LCM assembly. * Screen size: 3.8 inches. * Viewable image size:2.26 inches wide x 3.02 inches. * Spare Part Number: LPH7123-1.